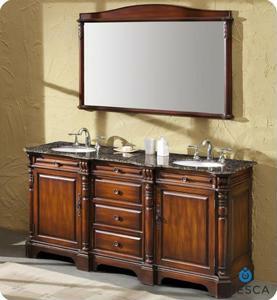 If you've recently completed a bathroom remodeling project, you've probably incorporated your new bathroom vanity and other bathroom accessories into a dynamic new design. However, if you're still using the same storage tactics as before, your bathroom could suffer from a lack of space, according to The Salt Lake Tribune. "Even in the biggest bathroom in the world, the prime real estate is the area around your sink, and it's limited," professional organizer Julie Morgenstern, author of Organizing From the Inside Out, told the news source. Your counter is both the focal point of your space and the spot that you see every day, so clearing up that area is paramount. Start by using a small wooden or metal tray to organize your cosmetics, soaps and other toiletries together. This will compartmentalize all of your small items and turn them into an attractive centerpiece. Lastly, adding additional shelving or a medicine cabinet can help to keep unwanted items out of view. What storage tips do you have for individuals with cluttered counter tops?